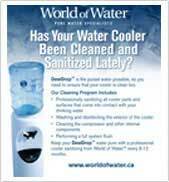 Is your water cooler in need of sanitizing? Whether in an office or at home, an unsanitary water cooler can alter the taste of the dispensed water or even worse, cause sickness. Bacteria and germs have plenty of opportunity to grow on things like o-rings, gaskets and seals which are within the cooler system. As well, taps and drip trays can become germ carriers from unwashed hands, airborne bacteria and refilled cups. It is necessary to sanitize your cooler every 6-12 months depending on use. 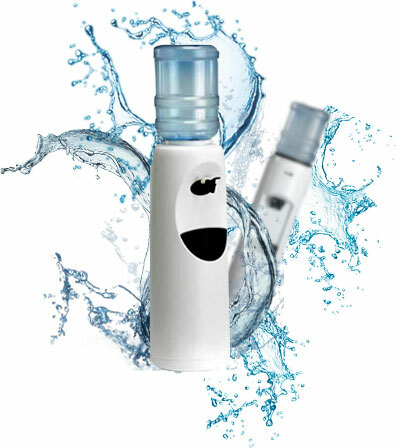 Professionally sanitize the spigots, water safe top, reservoir, and drip tray. Checking all electrical cords for cracks. Digitally verify accuracy of cooling system. Adjusting the thermostat if required. Washing and sanitizing the entire cooler. Removing, washing and rinsing the drip tray. Removing the taps and checking for algae and mildew. Detaching and cleaning the cooling fins. Re-attaching the cooling fins to the back of the cooler. Disassembling taps and soaking in sterilizing solution. Filling reservoir with sanitizing solution. Flushing sanitization solution through the taps. Filling reservoir with distilled water. Flushing distilled water through the taps. Filling reservoir a second time with distilled water. Flushing distilled water through taps. Testing unit for proper operation.